During Thanksgiving, many students head back home for the holidays. For some students, Thanksgiving break is spent lounging in the dorms rather than going home. A majority of students that cannot make the trip home, spend the holidays with friends and their family. Malikah Saafir, a sophomore nursing major from Los Angeles, was amongst many west-coast students that were not able to travel back home for last year’s Thanksgiving break. Alexis Scott, a sophomore journalism major from Lansing, Michigan, also spent her Thanksgiving on campus. Staying on campus turned out to be a very different experience than she expected. Scott stayed in Moton Hall along with the dorm director, Ms. Wilkins, and three other girls. Her dorm director ended up bringing her daughter and grandkids and served everyone dinner in the television room of Moton Hall. “It was cool, me and the girls ended up hanging out, we went out to the movies and to dinner over the weekend,” Scott stated. Nothing can compare to spending Thanksgiving with one’s family. 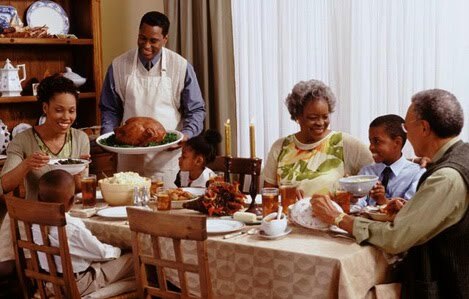 For many people, going away for school means Thanksgiving is one of the first holidays students may miss out on with their family. Whether a person is staying on campus or spending the break with friends, he or she can still have a memorable time even if it is not with his own family. Thanksgiving is not just about stuffing one’s face with grandmother’s famous sweet potato pie, it is about being thankful for the people that go out of their way to make others feel like a part of the family. Previous Previous post: Can America willingly elect an Atheist President?